Growing up in Maine, I don’t associate snow with the month of May … or June for that matter. Now living in Colorado, I see the snow on the mountains in the distance in May, but that’s about it. They almost become a backdrop like on a stage set. They’re there, but because I don’t touch them I kind of forget about them. 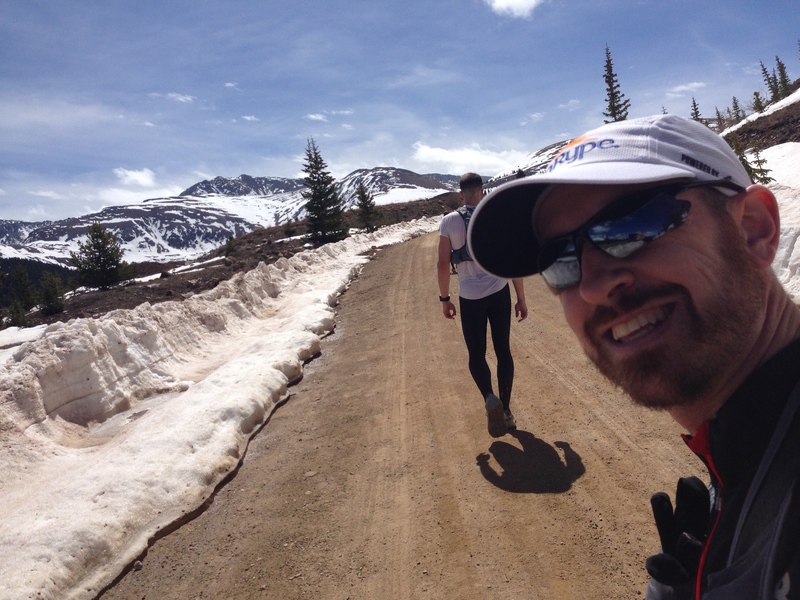 On a fine mid-May Saturday morning, I headed up to Leadville for a group training run on the Heavy Half Marathon course. 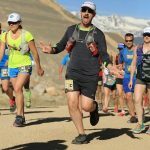 I wanted to see if my heart would explode running at altitude as I hadn’t been back to Leadville since the 2013 Leadville 100 Mile Run. My training was starting to pick up, so this was a good opportunity to get in quality miles at altitude. It would be about 10 miles, but I didn’t care of hiked the whole thing. The body works much harder at altitude. 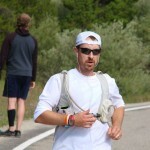 I met up with the group, about 40 people turned out, at the Leadville Race Series Headquarters. A couple guys from work were there which gave us a chance to catch-up on work, running, pregnancy, and travel. Runners are pretty good at talking about anything. I had on my Ultimate Direction vest and pocket of S! Caps so I was ready to go for 3-4 hours. It feels like I am finally dialing-in this nutrition piece. The run group leaders described where we were going. 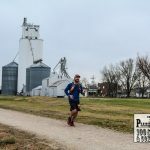 As most of us responded, “sure, we’ll just follow you.” Come to find out though, we wouldn’t be going far on the half or full course due to snow on the trail. 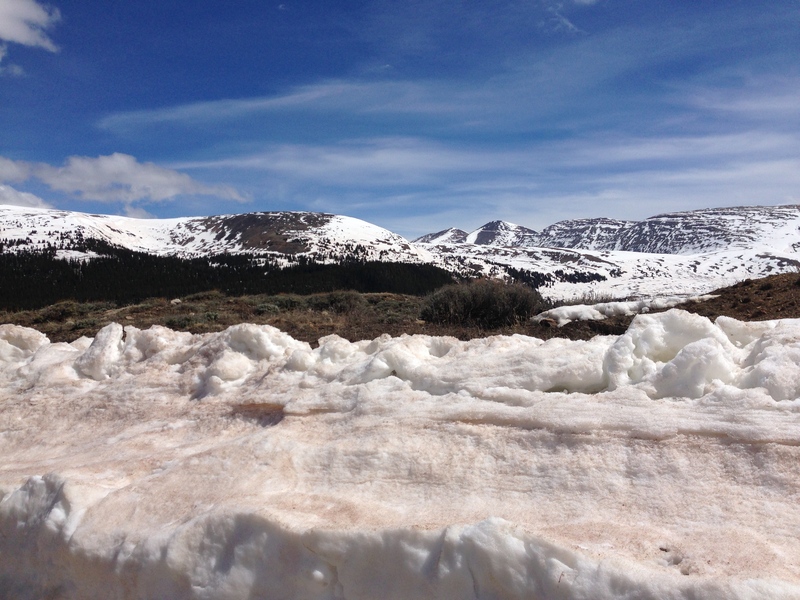 Appears there may even be a course change to the Leadville Marathon in mid-June due to snow. Yes. Too much snow on the course in mid-June. In Colorado. Wow. 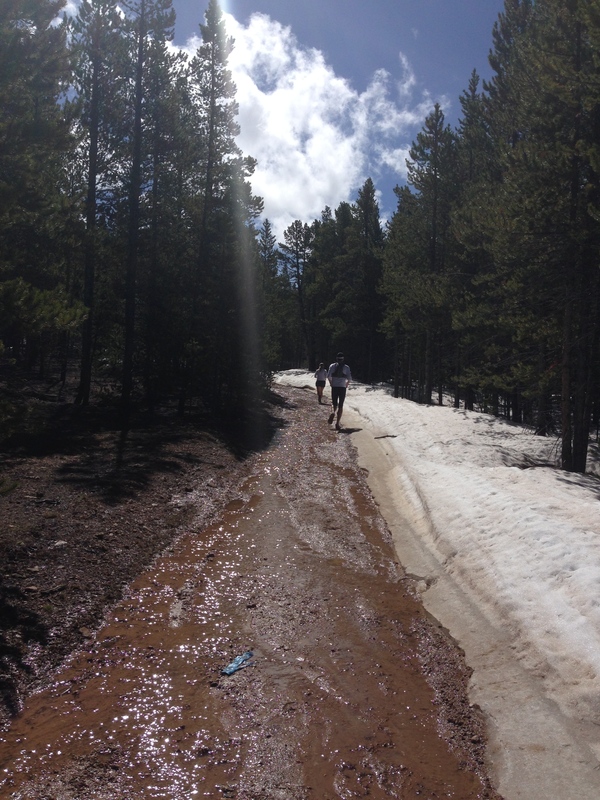 There is something magical about running in Leadville. Not sure if it’s the views, the people, or inability to get enough oxygen. I don’t ever feel like I’m racing when running there. It’s a great way to connect with the world without electronics. Plenty of down running and less uphill running than I would like, but was able to get in 11 miles on the trail. The conditions were definitely starting to get muddier as the morning went on. More snow melting down the middle of the trails. I will say the New Balance 1210 shoes held up way better in the wet than I was expecting. Due to their size, I thought they would become sponges. Instead, they seemed to keep water out with great ease. This shoe is becoming my go-to on the trails. 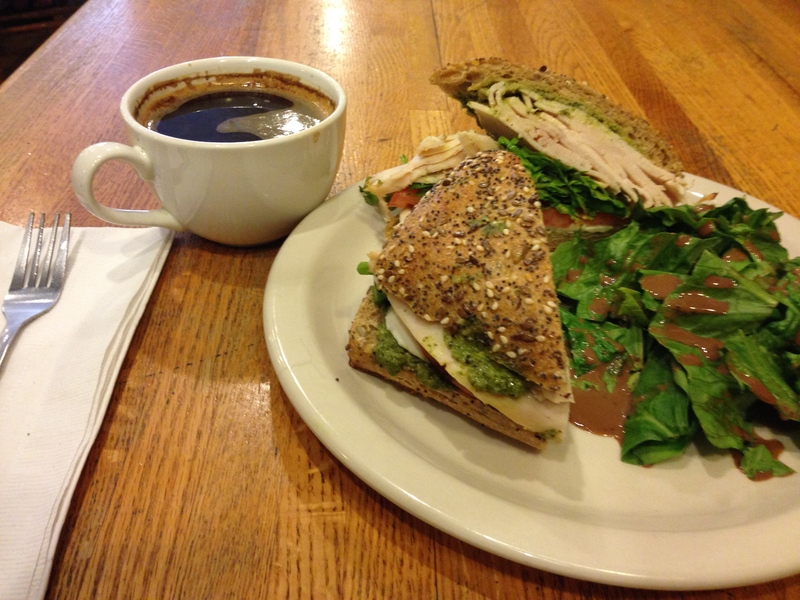 After the run, I knew where I wanted to go next: City on a Hill Coffee Shop. They make incredible sandwiches and I can get a coffee to go along with it. I got my turkey pesto sandwich and an Americano, found myself a corner table, and relaxed. More and more I need that recharge time to be ready for the world again. It is interesting to see the people that come through here as well. The visitors, like me, stick out quite a bit. We either have running or biking gear on. The locals seem to a bit older and around a table having animated conversations. So much history and knowledge in Leadville … I try to soak up as much of that the few hours I’m lucky enough to spend there.